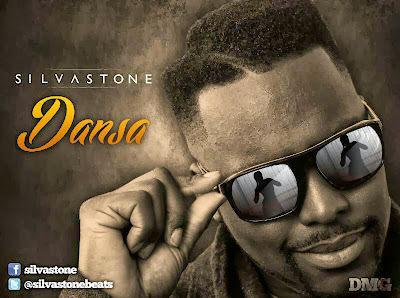 Further from the exciting release of his debut solo single “Dansa” to rave reviews, award-winning producer and musician SILVASTONE has now linked up with international video streaming platform VEVO to debut the brand new music video for the single “Dansa”. An innovative move in itself, Silvastone’s VEVO premiere of the “Dansa” video sees him join only a handful of African artists to release content exclusively via VEVO, including P-Square and Seyi Shay. Visually, the creatively captured music video for “Dansa” is a fun-filled and captivating affair which comes as the perfect conduit to bring the already buzzing single further to life. The Dego Visionz-directed music video was filmed in London and in Kenya and features an exquisite dance collective performing the several African dances, from Ghana’s ‘Azonto’ to Nigeria’s ‘Alanta’ dance to Sierra Leone’s ‘Kumbe’, that inspired the making of the song. Simply not content with the award-winning production he has provided for superstars like D’Banj, Naeto C, 2Face andBanky W as well as our favourite international stars such as Rita Ora, Mark Morrison, Sway and Estelle, the acclaimed producer and musician is now poised to blow full-steam ahead with his own solo career and on this amazing dance floor filler “Dansa”, Silvastone is simply teasing us with the tip of the iceberg of things to come. Currently working on his debut solo EP as an artist, you can expect many more exciting singles from Silvastone in the coming months, to not only showcase his production prowess but to introduce audiences to Silvastone - the artist!